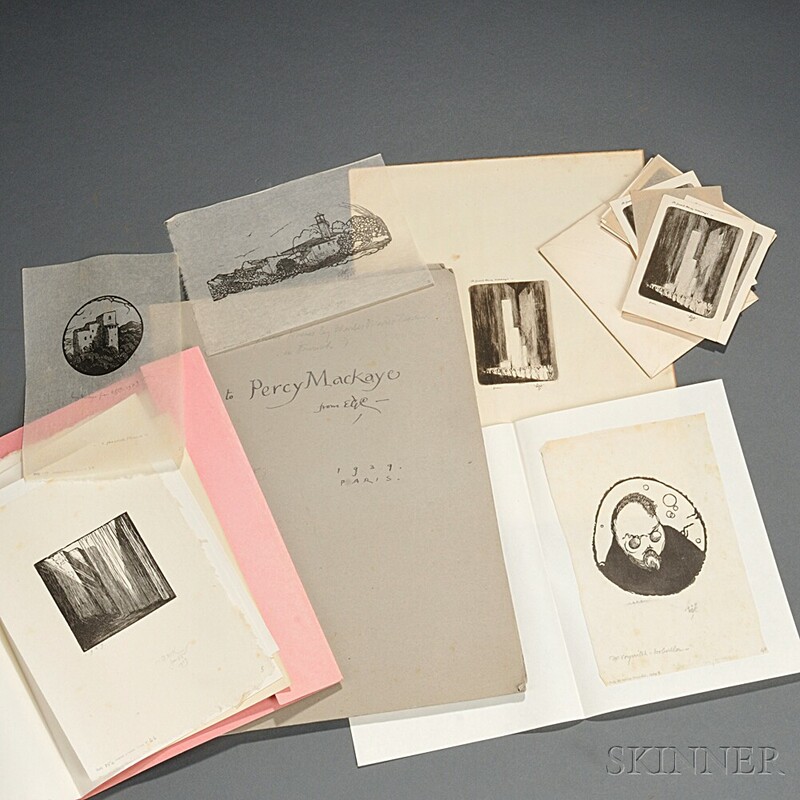 Craig, Edward Gordon (1872-1966) Twenty-six Signed Proofs, 1907-1939 Inscribed to Percy Mackaye. [and] twenty copies of the bookplate Craig designed for Mackaye; all housed in a folder signed and inscribed by Craig to MacKaye, in Paris, 1939. From the collection of Percy MacKaye (1875-1956), by descent to Marion MacKaye Ober.